the new "MURV" and "MURT" Trailers from Campmaster, LLC. complete camping/living quarters in the front and room for the important "stuff" in the rear. 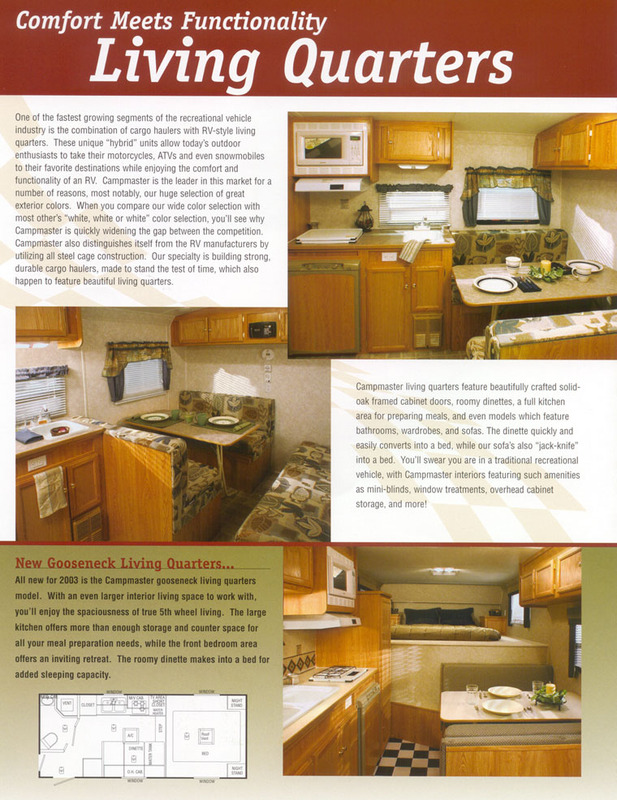 Living quarters are available in three sizes and the trailers are available from 18' to 36' in length. 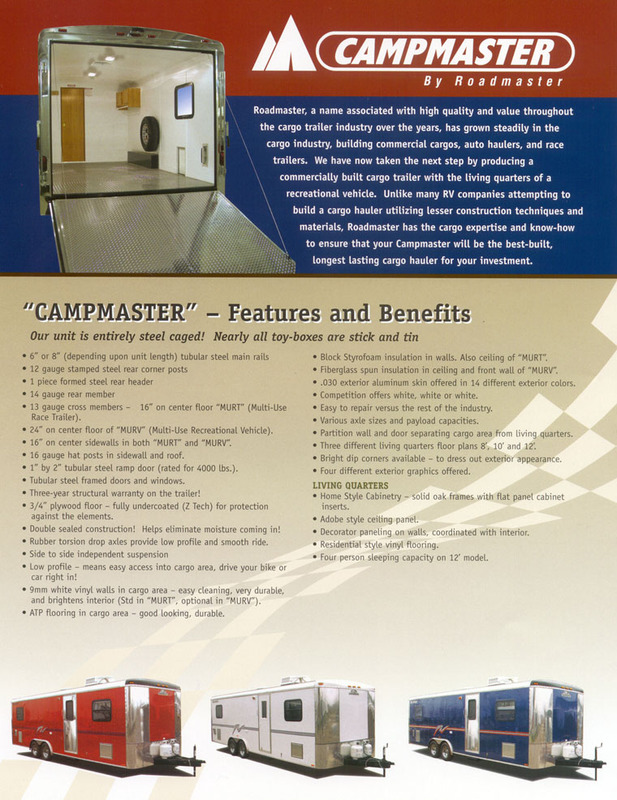 and let our experienced sales staff assist you in designing your new Campmaster trailer.